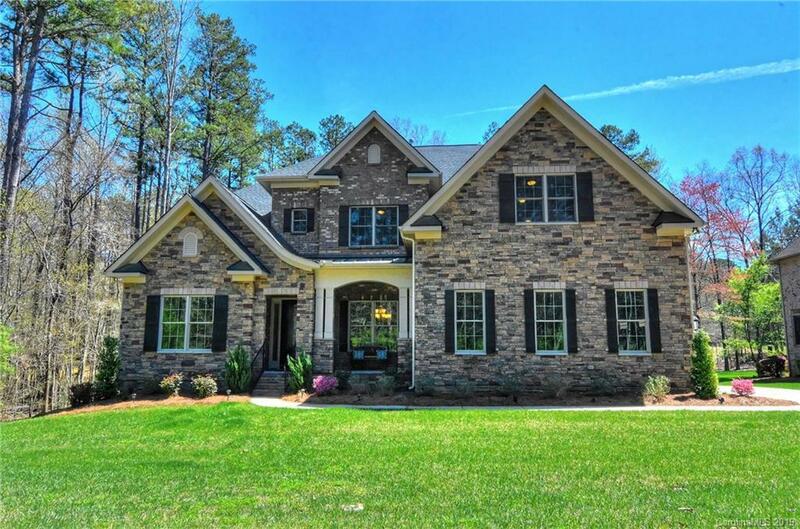 Incredible full brick exterior home heavily accented with stone. Huge kitchen with island featuring Espresso Maple Cabinetry with stainless appliance package, gas cook top, double wall ovens and designer backsplash. Roomy yet cozy Family Room has a coffered ceiling as well as stone surround fireplace. Spacious Master Bedroom is on the main with luxurious bath and large closet. Large secondary bedrooms on the second floor with generous closet space as well as a Media/Playroom. Exterior features include a large deck overlooking the private, heavily wooded and fenced back yard as well as a 3 car garage and irrigation on a large level lot.